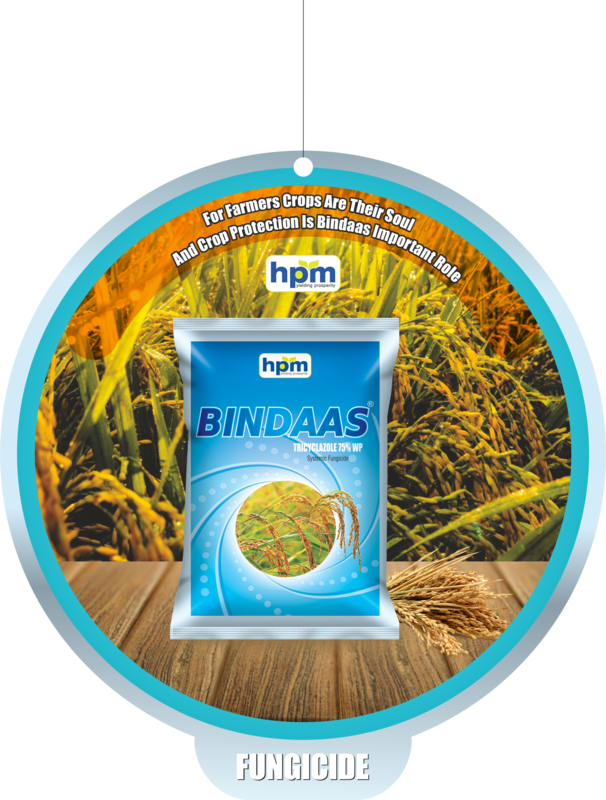 Most effective fungicide for prevention of paddy blast disease. Long Persistence in the plant more than 2 weeks. It is rapidly and extensively metabolized. Very stable fungicide- not readily destroyed by sunlight and moisture. Need not spray again if it rains 1 hour after application. 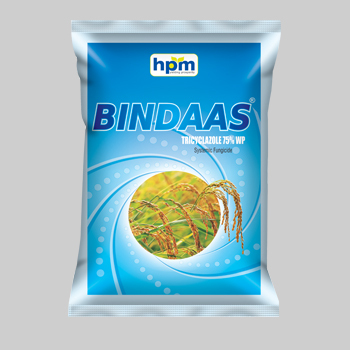 It is rapidly absorbed by rice plant and translocated towards leaf tips. Tricyclazole is a unique fungicide for control of Pyriculariaoryzae on rice. It is melanin biosynthesis inhibitor. 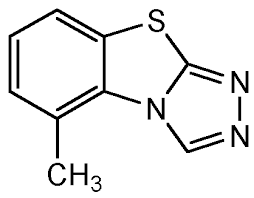 It belongs to triazolobenzothiazole family. Systemicfungicide absorbed rapidly by the roots and foliage and translocated in the xylem and apoplast with in the plants. Need not to spray again if it rains 1 hour after application. It shows rapid and extensive metabolism in animals. The principle metabolite in plants is the hydroxyl methyl analogue.it is moderately toxic for mallard ducks and bobwhite quail. It is slightly toxic for bluegill sunfish, rainbow trout, goldfish fingerlings, and carp.it is moderately toxic for daphnia.